Краткое описание: This version is different from it's Genesis counterpart. 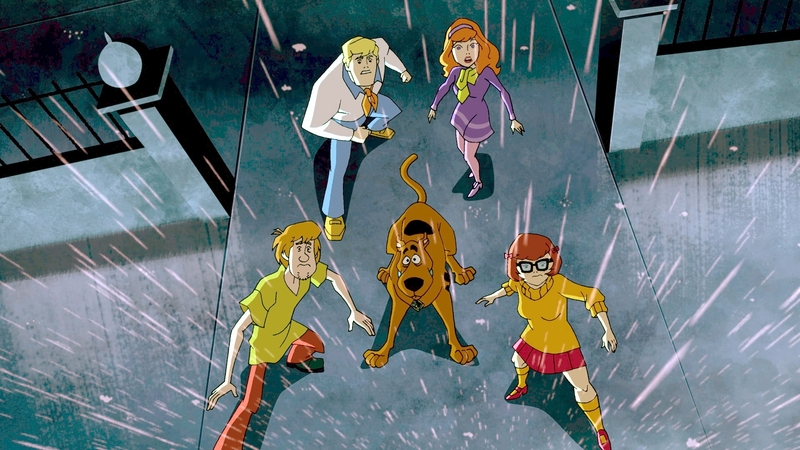 While the gameplay is similar (exploring levels to collect clues and solve the mystery), there are four different episodes for this version. While visiting the Drabwell Ranch, ghost's interrupt the festivities and the gang must find out who is behind the hauntings and why. Another adventure takes the gang to Deadman's Cove where a ghostly pirate has been scaring off tourists and it is up to Scooby and the Gang to bring it to a halt. The other two mysteries take place at a fun fair and a haunted mansion. 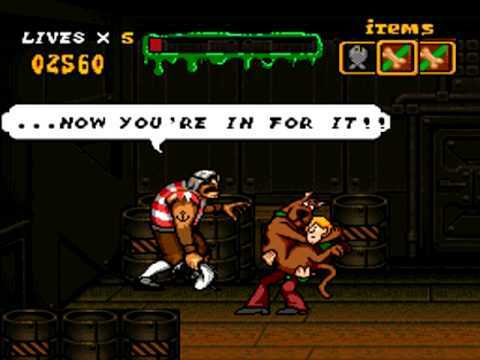 Players can use Scooby's unique sniffing ability to find clues. Scooby also consume Scooby Snacks to reduce the fright meter. Additionally there are a series of mini-games that player can participate in such as "Wac-A-Monster" or "Make a Scooby Sandwich". The graphics are faithfully recreated to resemble the long-running Hanna Barbara series. This version is different from it's Genesis counterpart. 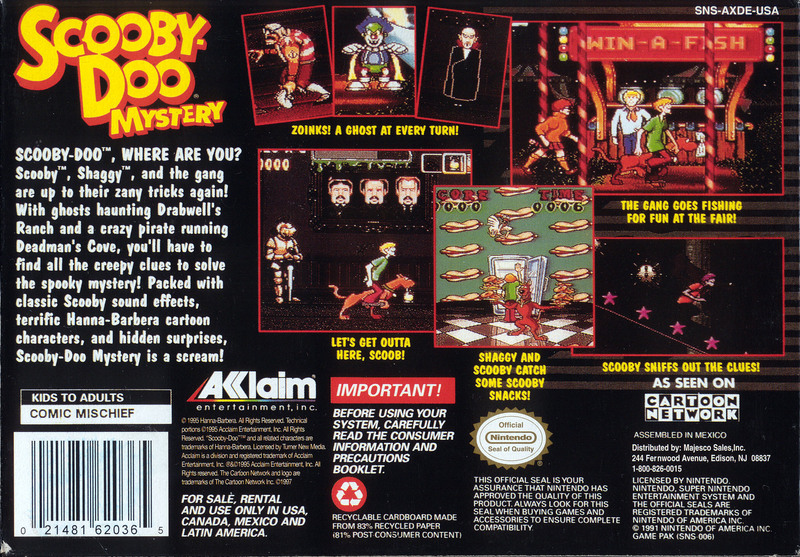 While the gameplay is similar (exploring levels to collect clues and solve the mystery), there are four different episodes for this version. While visiting the Drabwell Ranch, ghost's interrupt the festivities and the gang must find out who is behind the hauntings and why. 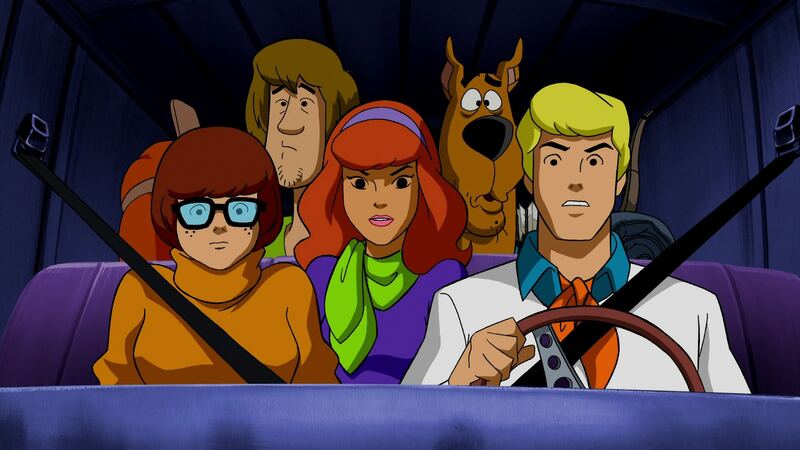 Another adventure takes the gang to Deadman's Cove where a ghostly pirate has been scaring off tourists and it is up to Scooby and the Gang to bring it to a halt. The other two mysteries take place at a fun fair and a haunted mansion. 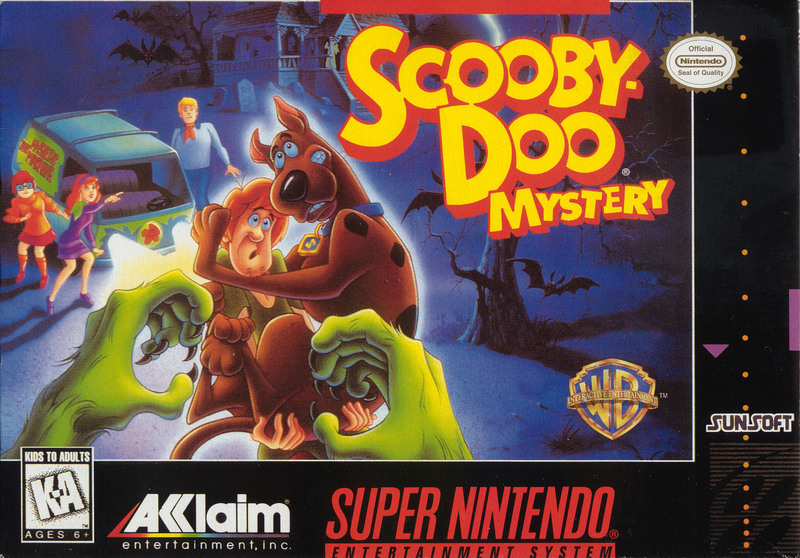 Players can use Scooby's unique sniffing ability to find clues. 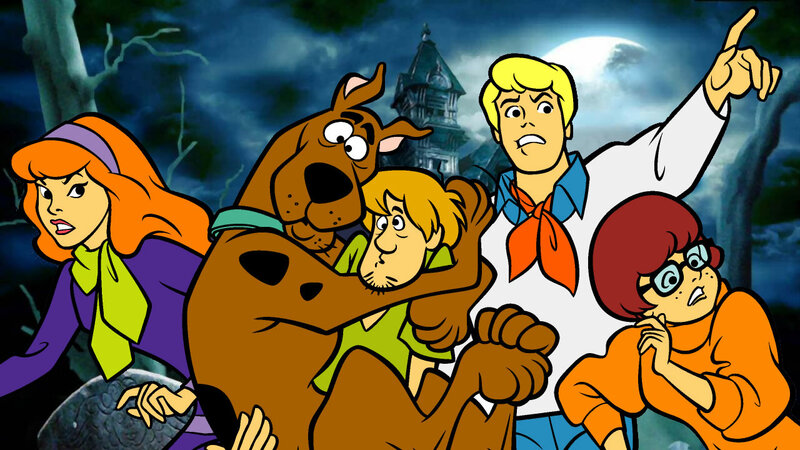 Scooby also consume Scooby Snacks to reduce the fright meter. Additionally there are a series of mini-games that player can participate in such as "Wac-A-Monster" or "Make a Scooby Sandwich". The graphics are faithfully recreated to resemble the long-running Hanna Barbara series.